Vivien Opal Herman died in her Genesee home on Jan 23, 2019, at 88, after enjoying a full long life. She was born in Johnson, WA to Opal (Spence) and Forrest White on Nov. 11, 1930, for which Opal called her “my Armistice baby”. At 6 weeks old, she survived whooping cough because Aunt Ivy made her onion and rye poultices—the Spokane hospital would not help as she was too contagious. Vivien attended Johnson Elementary for 3 years until it closed, then Pullman Elementary and graduated from Pullman High School (now the Gladish Center) in 1948. 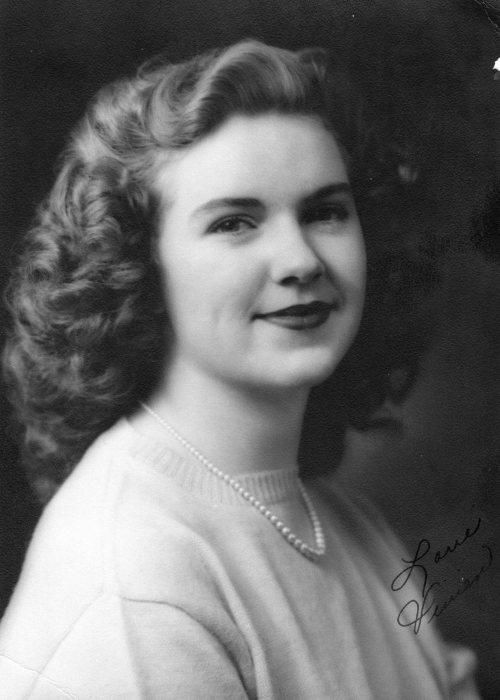 She worked as a receptionist at University of Idaho in 1949 and met Eloise Herman who introduced Vivien to her brother Robert, “Bob,” Herman of Genesee, ID. Bob asked Vivien to marry him on Valentine’s Day 1951. At their 50th Anniversary, Bob said that was the happiest day of his life. They were married on June 3, 1951 at St. John’s Lutheran Church in Genesee. They were married for 63 years, when Bob passed away December 2014. Vivien and Bob were a team: Vivien, the backbone of the farm, Bob, the muscle. Together they were the reason the Herman Family Farm became an Idaho Centennial Farm in 2014. Vivien was always running errands to get parts and help out. She canned dozens of quarts of corn, beans, peaches, pears in the basement. Bob raised up to 500 chickens and Vivien delivered the crates of eggs to several places in Lewiston. This was her “egg” money which she used for extras for the children such as piano lessons. (And her daughters still remember driving down the old grade in the snow and ice.) She cooked endless meals for the haying and harvest crews with a big dinner at noon or sent sandwiches, salads, and dessert out to the field. Her grandchildren remember her keeping the cookie jar full, candy dishes everywhere, lemon drops in the car and a little tin of butter mints by the TV remote. After the children were raised, she took up loving Dachshunds—she had 2 Mitzi’s, Penny and Sophie over the years. Vivien was fascinated by the Titanic story, enjoyed musicals, movies, plays, the color pink, lemons, and hummingbirds. 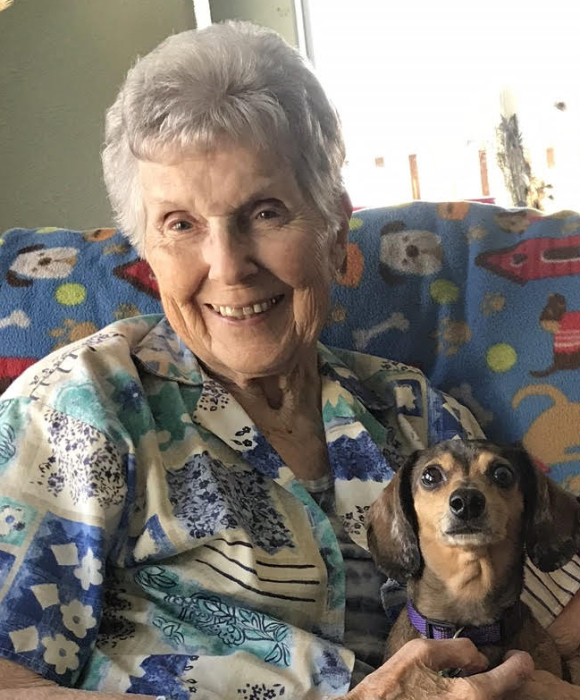 Over the years she taught Sunday School, Vacation Bible School, sang in the choir at St. John’s Lutheran Church and attended numerous sports games for her kids, grandkids and great grandkids. She was active in the Ladies Aid Society also at St. John’s. Later she enjoyed the Senior Citizen’s group in Genesee. She is survived by her daughter Connie (Jim) Sperry, their children Eric (kids: Tiffany and Brandon), Jessie and JJ. Sheri (Frank) Jeschke, their children Micah (Jay) Balasbas (Kevin and Kurt), Jeremiah, Aaron (Natalie) Jeschke (Alex and Miles), Elizabeth (Chris) Miller (Caleb) and Nathaniel. Ron Herman and his children Ryan (Melissa) Herman (Makayla, Lindsey, Kendyl and Ashlyn), Dani Herman (Haili and Austin) and Kayse Herman (Coy). Survived by her sister Violet “Vi” Ricci of Mollala, OR. Graveside service for the family is at 11:00 Saturday Feb. 2 at St. John’s Lutheran Cemetery with lunch reception open to all at noon at the Genesee Fire Hall. Viewing will be at Short’s Funeral Chapel from 2 to 8 P.M. on Friday, February 1st. Memorials may be sent to: Samaritan’s Purse PO Box 3000, Boone, NC 28607; or Humane Society of the Palouse, 2019 E White Ave, Moscow ID 83843; or Oregon Dachshund Rescue www.odr-inc.com (where she got her last little “pumpkin”) .